What is an Interior Build Out? QUESTION: What is an Interior Build-Out? How Would My Business Benefit? Some businesses or facility owners have more questions. Is this my responsibility or my landlord’s? How can I best navigate the process of an interior build-out? Whether you’re starting a new business and need space, or are relocating, more than likely you will need to complete an interior build-out. We will answer “What is an Interior Build-Out?” and more in this post. ANSWER: interior build out is changing an existing commercial shell into a personalized, usable space for your business’ specific needs. An interior build-out is also commonly referred to as commercial tenant improvements, or leasehold improvements. 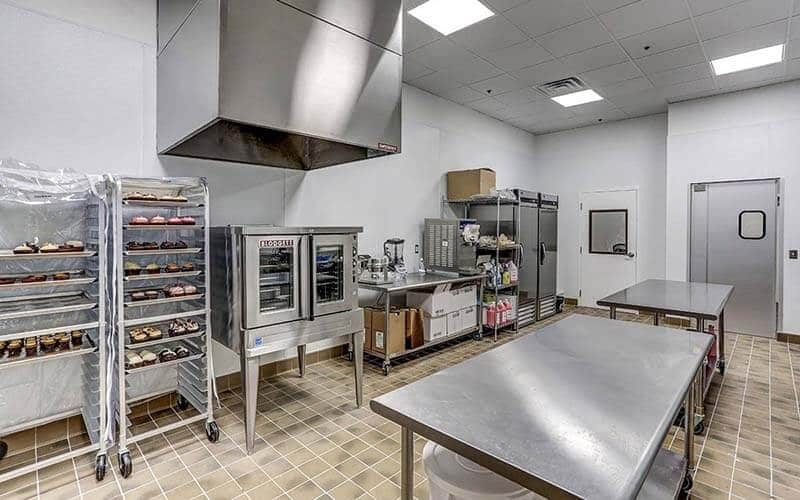 In most cases, a business looking at a new location will require an interior build-out since it’s rare to find a commercial space out of the box that can meet their exact needs. One of the more confusing aspects to an interior build-out can be figuring out who is responsible for what. There are many ways tenants (business owners looking to lease a new space and complete an interior build-out) and landlords can handle the financial aspects and responsibilities of a tenant improvement project. 1. The landlord might feel strongly that the potential tenant will be an improvement to the space and they will cover the entire build-out cost by either paying the contractor directly or by reimbursing the new tenant. In these instances, it’s common for the landlord to build in the overall cost of the build-out over the course of the entire lease. 2. In some instances, the landlord will want to reimburse the tenant to ensure they don’t get in the position of a completed space, and the tenant changing their mind after they’ve paid the build-out costs up front. 3. Another way this can be handled is the landlord will give a straight square footage allowance that they will cover, and the tenant funds the rest. 4. The last/most common way for the landlord and tenant to handle the financial responsibility of a build-out is rent-concessions: reduced or free rent for a period of time to cover the cost of the build-out. Commercial tenant improvements, also commonly known as Leasehold improvements are the custom interior finish outs that a landlord often makes to a commercial rental space (office, retail, or warehouse space). Tenant improvements are typically needed in most purchased commercial spaces as it’s very rare that someone finds a space, out of the box, that meets your needs exactly. One form or another of interior build-out will typically make it more suited to meet your business needs. Titus Contracting Inc will help you to minimize your out of pocket costs to cover additional building improvements. With our guidance, it is easier for you to determine what tenant finish outs will achieve your end goals. What is the best way to navigate the whole interior build-out process? To start, we recommend interviewing 1-3 experience commercial contractors, such as the professionals at Titus Contracting, being as transparent as possible, and as open about your budget as possible. Select a commercial contractor you are comfortable with, who can work with you through your needs, wants, and wishes for your new space. They can provide a preliminary budget with a base to include all your needs and additional options for your wants and wishes. This will help you determine if you’re able to afford to move into and complete the space or not. Once you have decided to move forward with your project, it’s important to enter into a home remodelers design-build contract with your commercial contractor in order to pull together a realistic fixed cost (lump sum) contract. Another way this can be handled is to hire an architect to draw plans for the space up front for potential contractors to be able to accurately bid off of. 1. Spaces. What kind(s) of spaces will your business need? Some common spaces in commercial interior build-outs include: offices, reception area, conference room, breakroom, warehouse, restrooms, etc. If your space is retail or a restaurant you may need kitchen space, seating, showroom, etc. 2. The number of occupants. The number of employees and customers you expect in your business will dictate restroom requirements, entry and egress requirements, and numerous other code-related items directly related to occupant load. 3. Level of finishes. Consider your audience and clientele when deciding how high-end of finishes you will require in your space. From basic to high-end, finishes directly affect the bottom line of your build-out. 4. Timeframe. Consider when you will need the space to be ready for use. Current Design Trends. For some business owners, there comes a point where they have to remodel their space to keep it current and able to meet modern commercial demands. Business Expansion. Some businesses may need to revamp the interior of their facility if their business expands into new departments. Adding or removing walls can transform a space. New Leaseholder. Landlords that rent space may have to do more than one interior build-out, as each new tenant may have different requirements for the building. These are just some of the ways business owners use an interior build out. Contact Titus Contracting to review your interior build-out and get started on design plans. No project is too big- let us know how we can help upgrade your space! If you have any questions about tenant interior build-outs don’t hesitate to give us a call. Once you have decided to move forward with an interior build-out and have considered all these things, contact Titus Contracting to learn more. 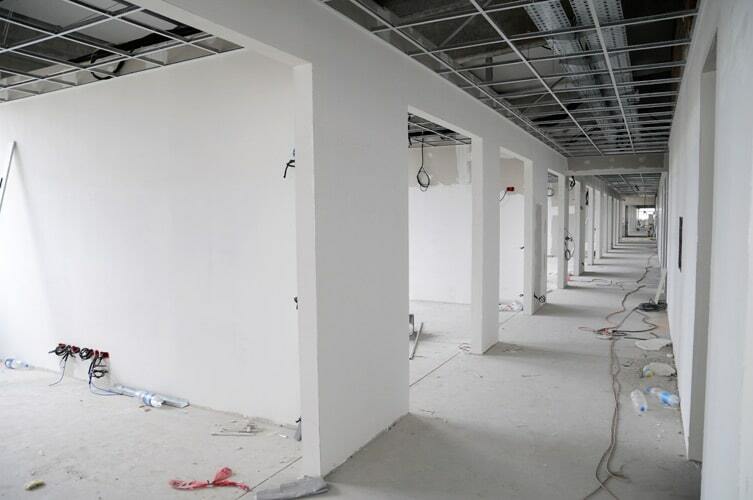 Our commercial contractors have years of experience and can help you navigate your tenant improvement project. Contact us or give us a call at 952-746-7817.